received a Laptop and the achievement certificate. Hindi Vikas Manch, New Delhi had organized a National Hindi Olympiad in the month of January, 2019 wherein many students had participated from our school and had won 8 Gold Medals, 8 Silver Medals and 1 Bronze Medal. Chairman Mr. Vinod Chavda, Managing Trustee Mr. Hemant Kachhadiya, Principal Mr.Scaria Thomas and Educational Advisor Mrs. Tripti Nagar appreciated and congratulated them for their tremendous performance. A 13th Commerce Talent Search Examination, 2018 was conducted on 30th December 2018 for the students of Commerce Stream. 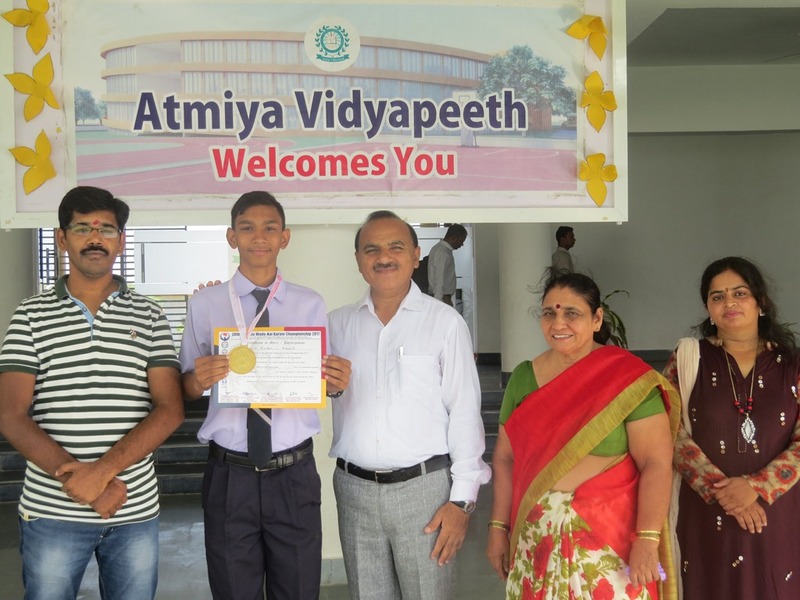 For the first time, students of Std XI and XII Commerce of Atmiya Vidyapeeth had participated for the examination and one of our students ANKUSH CHIRIMAR had secured ALL INDIA RANK – FIRST at National Level. He was trained and guided by our Commerce Faculty Mrs. Sapna Batham and Mrs.Sarita Batla.Chairman Mr. Vinod Chavda, Managing Trustee Mr. Hemant Kachhadiya, Principal Mr.Scaria Thomas appreciated and congratulated him for his tremendous performance. 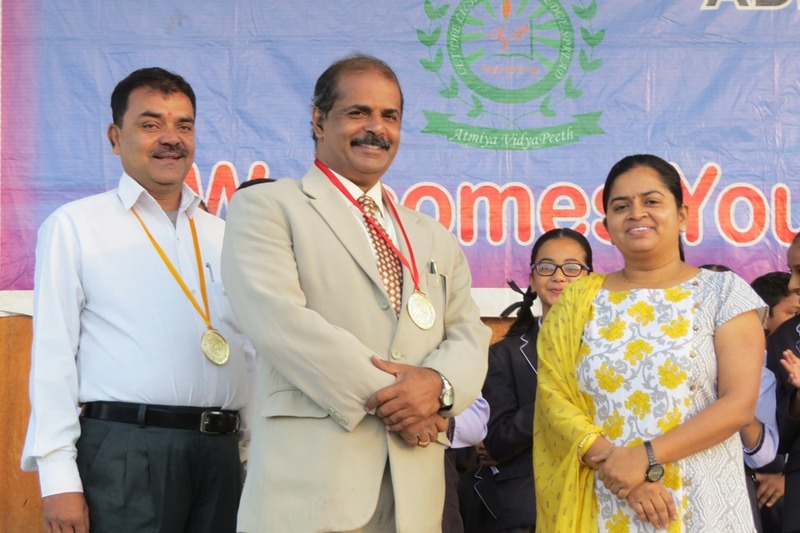 An Interschool Relay Race Competition was organized by DPS School, Gandhidham wherein many students of our school had participated and brought laurel by Third positions in U-16 Boys, U-16 Girls & U-19 Boys category. Our Chairman Mr. Vinod Chavda, Managing Trustee Mr. Hemant Kachhadiya, Principal Mr. Scaria Thomas, congratulated the students for the achievements. Kutch District Chess Sports Association and Reliable Edu world had organized a Kutch Chess Tournament on 24th January, 2019 in which DHEER WADHWANI of Std II from Primary Section Category had brought laurel to our school by securing Second position in U-9 category. Chairman Mr. Vinod Chavda, Managing Trustee Mr. Hemant Kachhadiya, Principal Mr.Scaria Thomas appreciated and congratulated him for his tremendous performance. 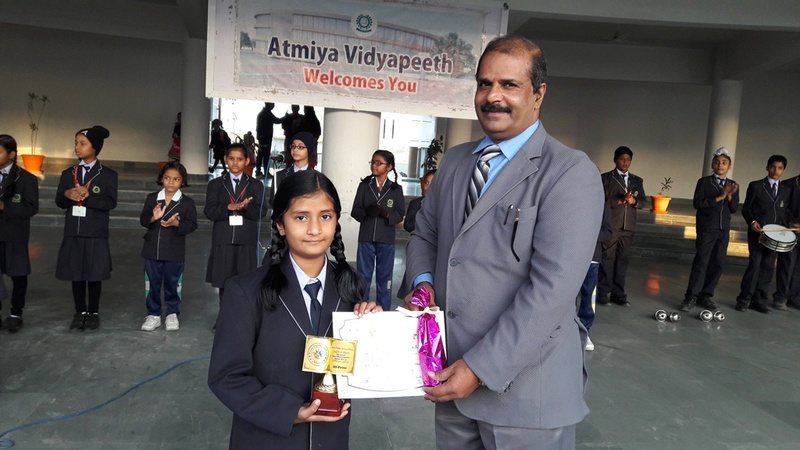 Karate Association of India had organized 2nd Karate Championship on 20th January, 2019 wherein one of our students Shiya Choudhary had won Third Prize and was awarded and honoured with Bronze Medal. She was trained under the effective and dynamic leadership of our Karate Coach Mr. Piyush Shrivasatva. Chairman Mr. Vinod Chavda, Managing Trustee Mr. Hemant Kachhadiya, Principal Mr. Scaria Thomas appreciated and congratulated her for her tremendous performance. An Interschool U-15 Boys Volleyball Tournament was organized by Dadi Gajwani Sports Festival, Gandhidham wherein 18 teams had participated from all over Gandhiham, Adipur and Bhuj. It is a matter of pride that the Team of Atmiya Vidyapeeth had won Second position. 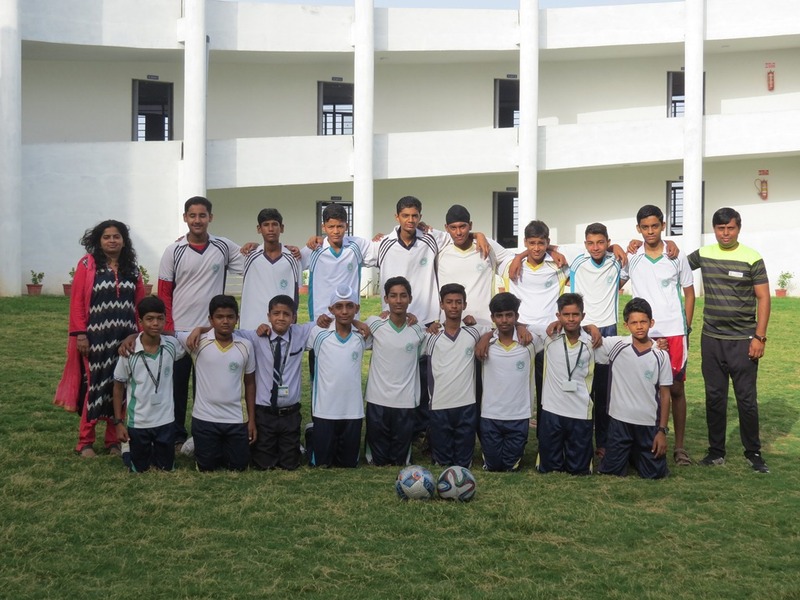 They were trained and guided by Nilesh Patel and Shankar Shetty, Sports Faculties of our school. Our Chairman Mr. Vinod Chavda, Managing Trustee Mr. Hemant Kachhadiya, Principal Mr. Scaria Thomas congratulated the students for the achievement. An Interschool Athletics, U-15 Competition was organized by Dadi Gajwani Sports Festival, Gandhidham wherein many students of our school had participated and brought laurel by securing First, Second and Third positions in different competitions. Our Chairman Mr. Vinod Chavda, Managing Trustee Mr. Hemant Kachhadiya, Principal Mr. Scaria Thomas, Vice Principal Dr. Taruna Sharma and Educational Advisor Mrs. Tripti Nagar congratulated the students for the achievements. 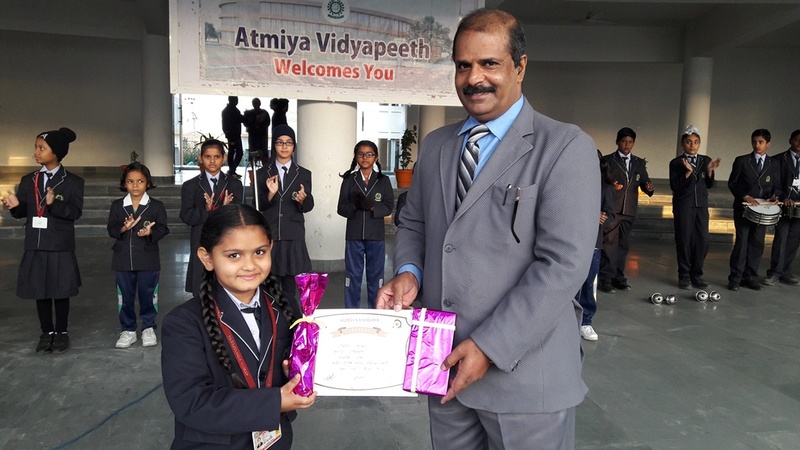 Atmiya Vidyapeeth had conducted a IEO (ENGLISH) Olympiad Competitive Examination for the students of classes I to X on 21th September 2018 organized by SOF in which atmiya students had won five Gold medals, three Silver Medals and three Bronze Medals. Chairman Mr. Vinod Chavda, Managing Trustee Mr. Hemant Kachhadiya, Principal Mr.Scaria Thomas, Vice Principal Dr. Taruna Sharma and Educational Advisor Mrs. Tripti Nagar appreciated and congratulated them for her efforts and incredible performance. 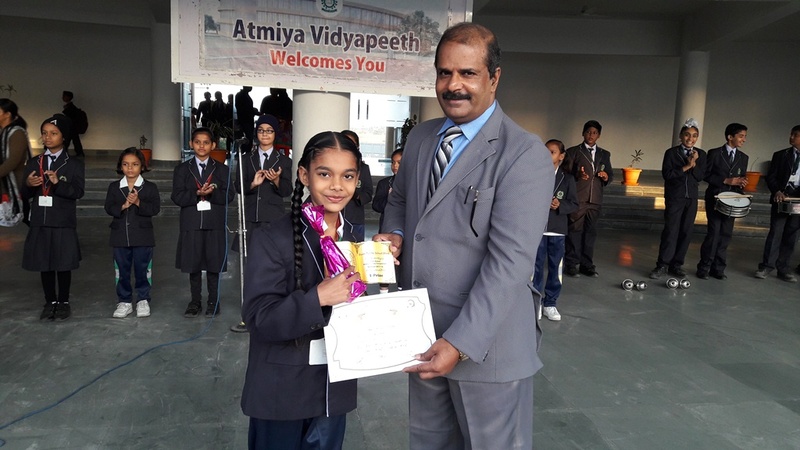 Atmiya Vidyapeeth had conducted a GK Olympiad Competitive Examination for the students of classes I to X on 11th September, 2018 organized by SOF in which three students had won Gold Medals, Silver Medals and Bronze Medals at school level and one of our students Harleen Kaur Simak had won GOLD Medal at ZONAL LEVEL. Chairman Mr. Vinod Chavda, Managing Trustee Mr. Hemant Kachhadiya, Principal Mr.Scaria Thomas, Vice Principal Dr. Taruna Sharma and Educational Advisor Mrs. Tripti Nagar appreciated and congratulated them for their efforts and incredible performance. Karate Association of India had organized All India Wado Kai Karate Do Association Championship on 29th December, 2019 wherein our students Harmandeep Kaur, Srishti Chawla and Shiya Choudhary were awarded and honoured with Blue Belt, Yellow Belt and Gold Medals. They were trained under the effective and dynamic leadership of our Karate Coach Mr. Piyush Shrivasatva. Chairman Mr. Vinod Chavda, Managing Trustee Mr. Hemant Kachhadiya, Principal Mr. Scaria Thomas, Vice Principal Dr. Taruna Sharma and Educational Advisor Mrs. Tripti Nagar appreciated and congratulated them for their tremendous performance. Mahatma Gandhi Rashtrabhasha Hindi Prachar Sanstha had organized a Hindi Olympiad in Atmiya Vidyapeeth on 3rd December, 2018 in which six students of our school had won GOLD Medals. The exam was well co-ordinated by Mr. NK Shukla, Faculty of Hindi who was honoured with a Certificate of Appreciation and a Gold Medal. Our Principal Mr. Scaria Thomas was awarded with a Gold Medal for encouraging the students to participate in competitive exams. 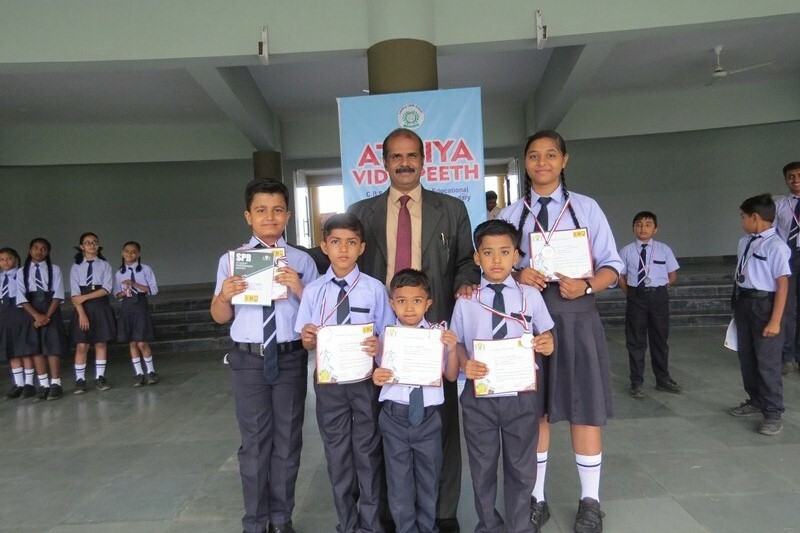 Byju’s Learning App had organized a Written Examination for all the students of Class IV to VIII at Atmiya Vidyapeeth in which five students had won Prize Hampers and Certificates and two of our students Kapil Budhani of Std VIII & Mittul Rao of Std VI were selected for next level. Synchro Academy had organized a Chess Tournament on 29th October, 2018 in which DHEER WADHWANI of Std II from Primary Section Category had brought laurel to our school by securing FIRST position. Chairman Mr. Vinod Chavda, Managing Trustee Mr. Hemant Kachhadiya, Principal Mr.Scaria Thomas, Vice Principal Dr. Taruna Sharma and Educational Advisor Mrs. Tripti Nagar appreciated and congratulated him for his tremendous performance. The school maintains an excellent record in its sporting pursuits and work of excellence is recognised. U-14 Football District Tournament was organized at District Level wherein 22 teams had participated from all over Kutch region and our school had secured FIRST position. The students were trained and guided under the effective and dynamic leadership of our Coach Mr. Saurabh Rana. Chairman Mr. Vinod Chavda, Managing Trustee Mr. Hemant Kachhadiya, Principal Mr. Sacria Thomas, Vice Principal Dr. Taruna Sharma and Educational Advisor Mrs. Tripti Nagar appreciated and congratulated the team for their excellent performance. The school maintains an excellent record in its sporting pursuits and work of excellence is recognised. U-14 Basketball Tournament was organized at Mount Carmel School wherein 14 teams had participated from all over Gandhidham and our school secured SECOND position in U-14 BOYSand U-14 GIRLS. 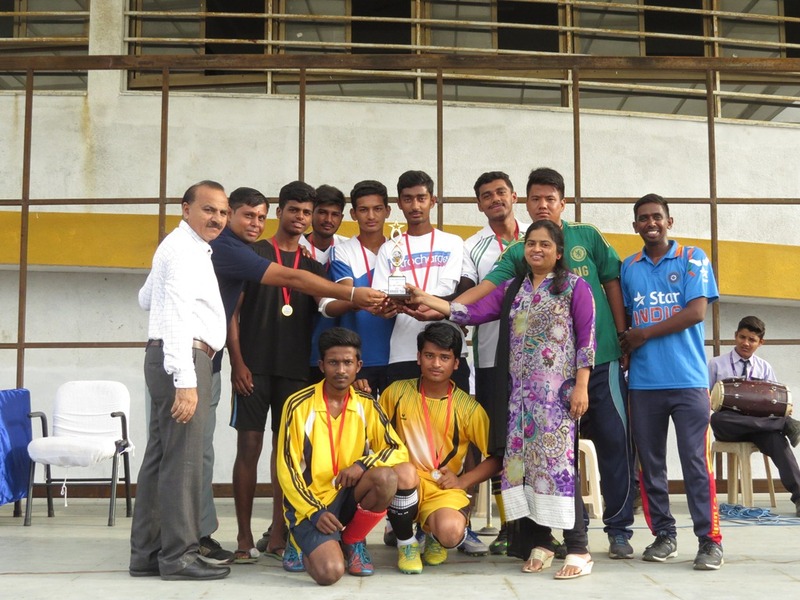 Diksha Jhala and Karan Asnani were awarded as BEST SCORER. The students were trained and guided under the effective and dynamic leadership of our Coach Mr. Nilesh Patel. Chairman Mr. Vinod Chavda, Managing Trustee Mr. Hemant Kachhadiya, Principal Mr. Sacria Thomas, Vice Principal Dr. Taruna Sharma and Educational Advisor Mrs. Tripti Nagar appreciated and congratulated the team for their excellent performance. Synchro Academy had organized a Chess Tournament on 27th September, 2018 in which DHEER WADHWANI of Std II from Primary Section Category had brought laurel to our school by securing SECOND position. Chairman Mr. Vinod Chavda, Managing Trustee Mr. Hemant Kachhadiya, Principal Mr.Scaria Thomas, Vice Principal Dr. Taruna Sharma and Educational Advisor Mrs. Tripti Nagar appreciated and congratulated him for his tremendous performance. 1st All India Shito Ryu Karate Championship 2018 was organized by Shito Ryu Sports Karate Championship of India on 6th September, 2018 in which two students had participated from our school and were honoured and awarded with Gold, Silver and Bronze Medals and Certificates. The students were trained under the effective and dynamic leadership of our Karate Coach Mr. Piyush Shrivasatva. Chairman Mr. Vinod Chavda, Managing Trustee Mr. Hemant Kachhadiya, Principal Mr. Scaria Thomas, Vice Principal Dr. Taruna Sharma and Educational Advisor Mrs. Tripti Nagar appreciated and congratulated them for their tremendous performance. Beena Parikh School of Excellence had organized an Inter School Rakhi Making Competition on 25th August, 2018 and ANTRA KUMAR of STD III had participated from Atmiya Vidyapeeth secured SECOND position. Chairman Mr. Vinod Chavda, Managing Trustee Mr. Hemant Kachhadiya, Principal Mr.Scaria Thomas, Vice Principal Dr. Taruna Sharma and Educational Advisor Mrs. Tripti Nagar appreciated and congratulated her for her tremendous performance. All India Wado-Kai Karate Do Association had organized a Karate Championship at Lonavla from 6th May to 11th May 2018 where many students have participated from all over Kutch District and one of the students of our school SHRIYA CHAUDHARY of V C had been awarded with a Black Belt Trophy and Certificate. She was trained under the effective and dynamic leadership of our Karate Coach Mr. Piyush Shrivasatva. Chairman Mr. Vinod Chavda, Managing Trustee Mr. Hemant Kachhadiya, Principal Mr. Scaria Thomas, Vice Prinmcipal Dr. Taruna Sharma and Educational Advisor Mrs. Tripti Nagar appreciated and congratulated her for the tremendous performance. Ishan Subashbhai Dave Memorial had organized a U-15 Chess Tournament on 10th July 2018 at Tolani College of Commerce in which DHEER WADHWANI Of Std II from Primary Section Category had brought laurel to our school by winning a certificate and a cash prize of Rs. 500. He had accomplished 4 matches out of 6 in Chess Tournament. 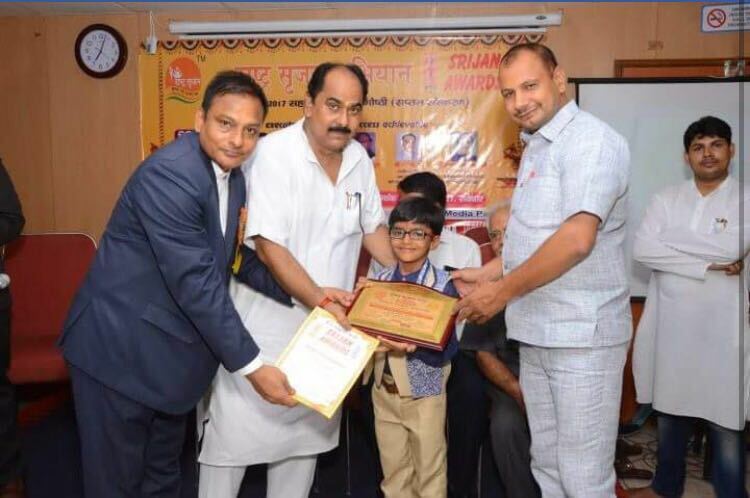 Chairman Mr. Vinod Chavda, Managing Trustee Mr. Hemant Kachhadiya, Principal Mr.Scaria Thomas Dr. Taruna Sharma and Educational Advisor Mrs. Tripti Nagar appreciated and congratulated him for his tremendous performance. Indian Art & Culture Society and Shai’s Dance Academy had organized Fifth All India Dance Competition on 28th April and 29th April 2018 in Ahmadabad where 500 dancers had participated from all over the country and MAITRI JESWANI of Std IV had won SECOND PRIZE in Modern Dance Style. She was trained and choreographed by our Dance Teacher Ankur Singh. 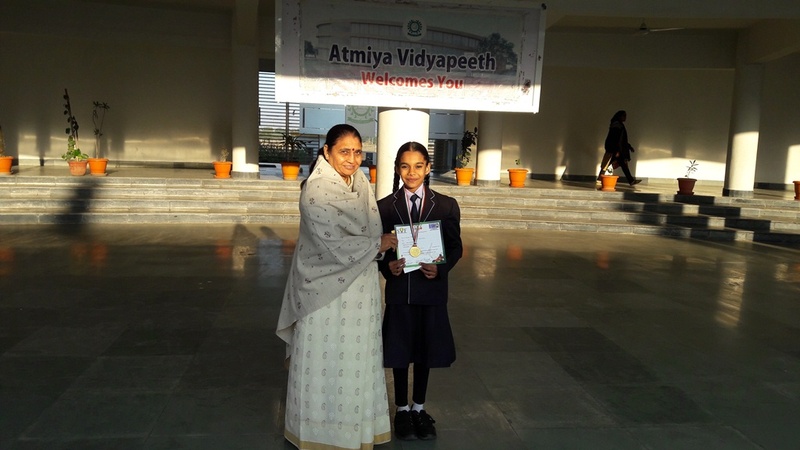 Chairman Mr. Vinod Chavda, Managing Trustee Mr. Hemant Kachhadiya, Principal Mr. Sacria Thomas, Vice Principal Dr. Taruna Sharma and Educational Advisor Mrs. Tripti Nagar appreciated and congratulated her for the dazzling performance. The school maintains an excellent record in its sporting pursuits and work of excellence is recognised. An Inter School Football Tournament, U-16 Boys was organized by Jagannaut Group, 5A at District Level wherein Sixteen teams had participated from all over Kutch region and the Team of Atmiya Vidyapeeth had grabbed First Position. The students were trained and guided under the effective and dynamic leadership of our Coach Mr. Nilesh Patel. Chairman Mr. Vinod Chavda, Managing Trustee Mr. Hemant Kachhadiya, Principal Mr. Sacria Thomas, Vice Principal Dr. Taruna Sharma and Educational Advisor Mrs. Tripti Nagar appreciated and congratulated the team for their excellent performance. DPS Gandhidham had organized an Inter School Competition on DPSMUN (Model United Nation) wherein students of different schools had participated and presented themselves as member of LokSabha, Rajya Sabha, President and Prime Ministers of different countries and organizations. Thirteen students from Atmiya Vidyapeeth had participated and they received Appreciation Certificate. Swikrity Shrivastav from Std X got special appreciation award for her active performance.Chairman Mr. Vinod Chavda, Managing Trustee Mr. Hemant Kachhadiya, Principal Mr. Sacria Thomas, Vice Principal Dr. Taruna Sharma and Educational Advisor Mrs. Tripti Nagar appreciated and congratulated the team for their initiative. Dadi Gajwani B.Ed College organized an Interschool Sports Festival in January, 2018 where in various schools from Kutch region had participated and ATMIYA VIDYAPEETH secured SECOND position for different competitions. Our Chairman Mr. Vinod Chavda, Managing Trustee Mr. Hemant Kachhadiya, Principal Mr.Scaria Thomas, Vice Principal Dr. Taruna Sharma and Educational Advisor Mrs. Tripti Nagar congratulated the Students and Sports Teachers Mr. Nilesh Patel, Mr. Dhanshanker Shetty and Mr. Saourabh Rana for the achievements. IN DADI GAJWANI SPORTS FESTIVAL!!!! 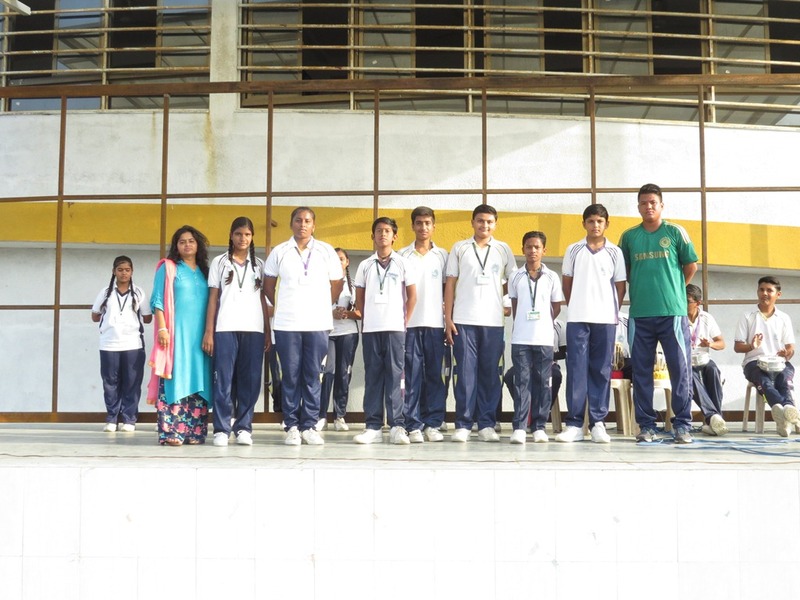 An Interschool Athletics Competition was organized by Dadi Gajwani Sports Festival 2017-18 and 3 students of our school had brought laurel by securing First and Second Position in different competitions. The students were guided and trained by Mr.Nilesh Patel and Mr.Shankar Shetty, Sports Faculty of Atmiya Vidyapeeeth. Our Chairman Mr. Vinod Chavda, Managing Trustee Mr. Hemant Kachhadiya, Principal Mr.ScariaThomas, Vice Principal Dr. Taruna Sharma and Educational Advisor Mrs. Tripti Nagar congratulated the Students for the achievements. 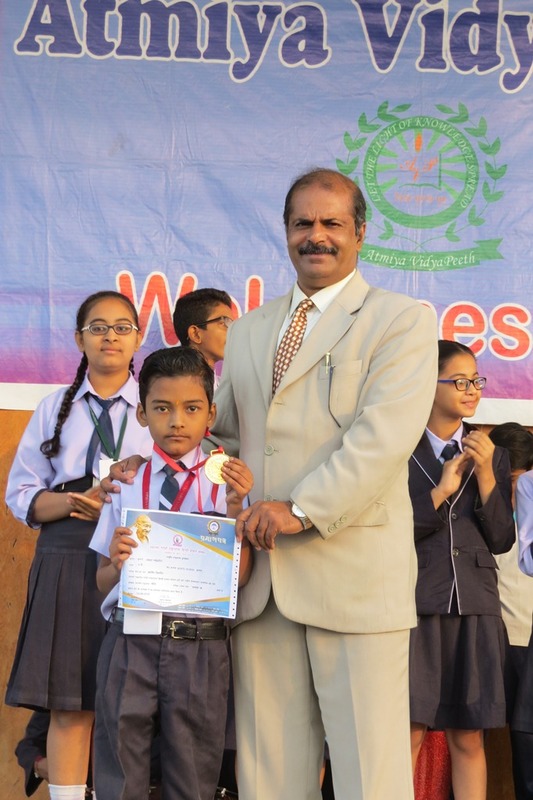 INTER SCHOOL STORY TELLING COMPETITION!! Doon Public School, Bhuj had organized an Inter School Story Telling Competition under Kutch Sahodaya, an Association of CBSE Schools of Kutch wherein 28 schools had participated from entire Kutch region and three students had brought laurel to our school by winning all the Three Prizes. Chairman Mr. Vinod Chavda, Managing Trustee Mr. Hemant Kachhadiya, Principal Mr. Scaria Thomas, Vice Principal Dr. Taruna Sharma and Educational Advisor Mrs. Tripti Nagar appreciated and congratulated the students for their tremendous performance. The students were guided and trained by Mrs. Sukhwinder Kaur, Mrs Sana Qureshi and Ms. Vinita Hinduja, Faculties of English. The school maintains an excellent record in its sporting pursuits and work of excellence is recognised. 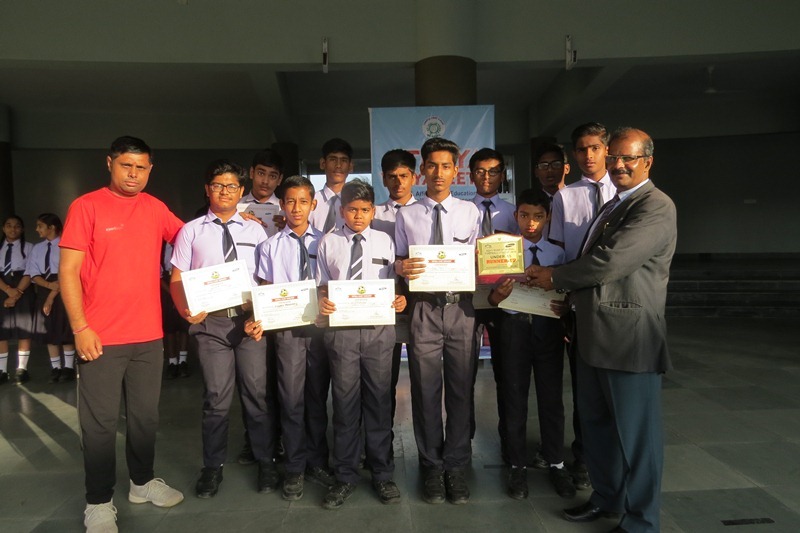 Dadi Gajwani B.Ed College had organized Volleyball Championship at School Level wherein 25 teams had participated from all over Gandhidham and the Team of U-14 & U-17 Boys of Atmiya Vidyapeeth had secured Second Position in the tournament. The students were trained and guided under the effective and dynamic leadership of our Coach Mr.Shankar Shetty. Chairman Mr. Vinod Chavda, Managing Trustee Mr. Hemant Kachhadiya, I/C Principal Dr. Taruna Sharma and Educational Advisor Mrs. Tripti Nagar appreciated and congratulated the team for their stupendous performance. SOF had organized a Maths Olympiad on 22nd November 2017. 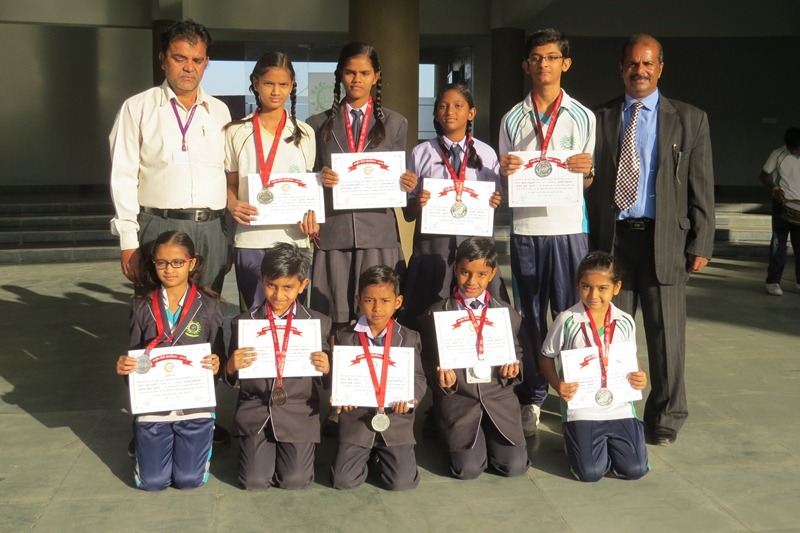 Many students had participated from our school and it is a matter of pride that students had won 7 Gold Medals, 6 Silver Medals and 7 Bronze Medals out of which 4 are qualified for the next level. All the students were appreciated and honoured with certificates and medals. Chairman Mr. Vinod Chavda, Managing Trustee Mr. Hemant Kachhadiya, Vice Principal Dr. Taruna Sharma and Educational Advisor Mrs. Tripti Nagar appreciated and congratulated the students for their outstanding performance. Dadi Gajwani B.Ed College had organized Football Championship at School Level wherein 22 teams had participated from all over Gandhidham and the Team of U-17 Boys of Atmiya Vidyapeeth had grabbed First Position in the tournament. The students were trained and guided under the effective and dynamic leadership of our Coach Mr. Nilesh Patel. Chairman Mr. Vinod Chavda, Managing Trustee Mr. Hemant Kachhadiya, I/C Principal Dr. Taruna Sharma and Educational Advisor Mrs. Tripti Nagar appreciated and congratulated the team for their outstanding performance. Remarkable Achievement in G.K OLYMPIAD!! 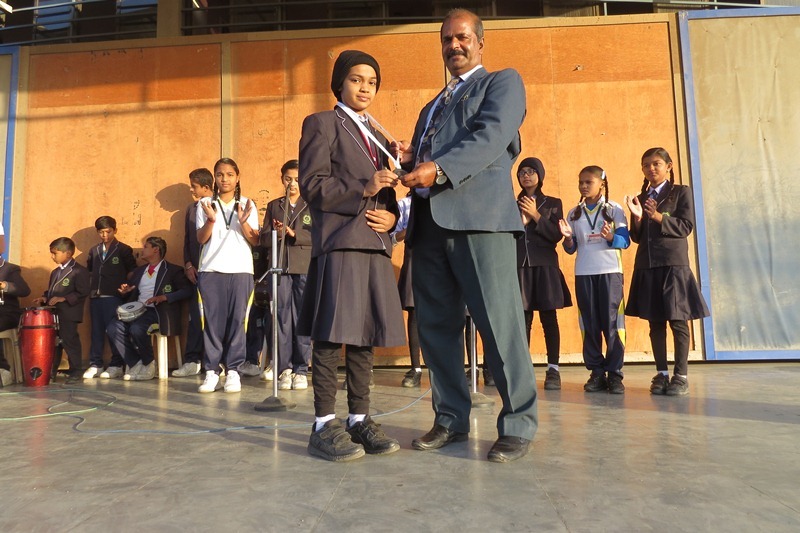 HARLEEN KAUR SIMAK OF STD IV had secured FIRST position at school level and had secured GOLD MEDAL in GK Olympiad Competitive Examination on 9th November 2017. Chairman Mr. Vinod Chavda, Managing Trustee Mr. Hemant Kachhadiya, I/C Principal Dr. Taruna Sharma and Educational Advisor Mrs. Tripti Nagar appreciated and congratulated her for her efforts. Navjyoti Charitable and ParamKarm Foundation had organized a U-15 Chess Tournament on 18th September 2017 at Tolani College of Commerce in which DHEER WADHWANI OF IA from Primary Section Category had brought laurel to our school by winning a certificate and a cash prize of Rs. 500. He had accomplished 4 matches out of 6 in Chess Tournament. Chairman Mr. Vinod Chavda, Managing Trustee Mr. Hemant Kachhadiya, Vice Principal Dr. Taruna Sharma and Educational Advisor Mrs.Tripti Nagar appreciated and congratulated him for his tremendous achievement. On 7th September 2017, Volleyball Championship was organized by Khel Mahakumbh at District Level wherein many teams had participated from all over Kutch region. 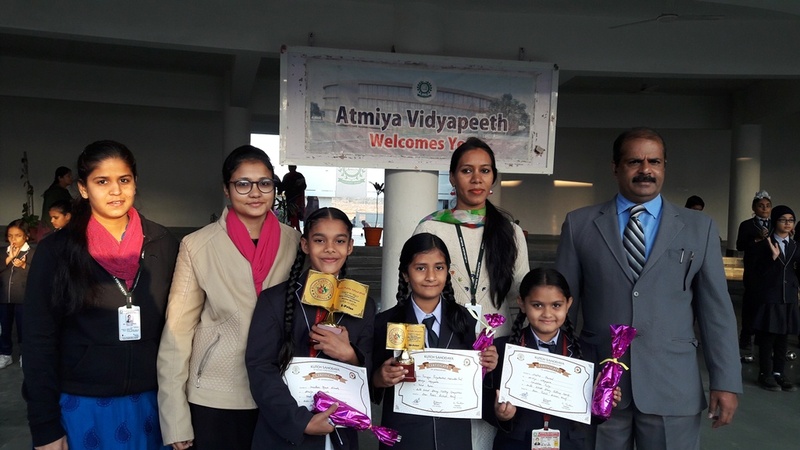 The Team of Atmiya Vidyapeeth had brought laurel to our school by securing Second Position in U-14 Boys and Third Position in U-14 Girls category. The students were trained and guided under the effective and dynamic leadership of our Coach Mr. Nilesh Patel and Mr. Dhanshanker Shetty. Chairman Mr. Vinod Chavda, Managing Trustee Mr. Hemant Kachhadiya, Principal Dr. Taruna Sharma and Educational Advisor Mrs. Tripti Nagar accolade and congratulated the team for their outstanding performance. 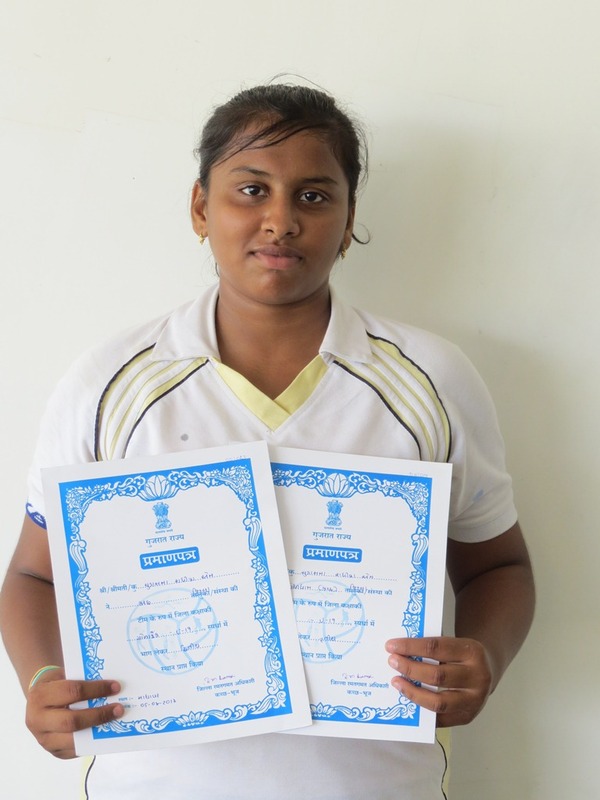 An Interschool Athletics, U-19 Girls, competition was organized at District Level and one of the student Radhika Chudasma of Atmiya Vidyapeeth has brought laurel by securing second position in Shot Put Throw and third position in Disc Throw. The student was guided under the effective leadership of Mr. Shankar Shetty, Atheletics Caoch, AVP. Our Chairman Mr. Vinod Chavda, Managing Trustee Mr. Hemant Kachadiya, Principal Dr. Taruna Sharma and Educational Advisor Mrs. Tripti Nagar congratulated the Students for the achievements. U-19 Girls Athletics competition was organized by Khel Mahakumbh at District Level on 8th September 2017 where in Radhika Chudasma & Aarti Chudasma of Atmiya Vidyapeeth has brought laurel by securing second position in Shot Put Throw and third position in Disc Throw respectively. 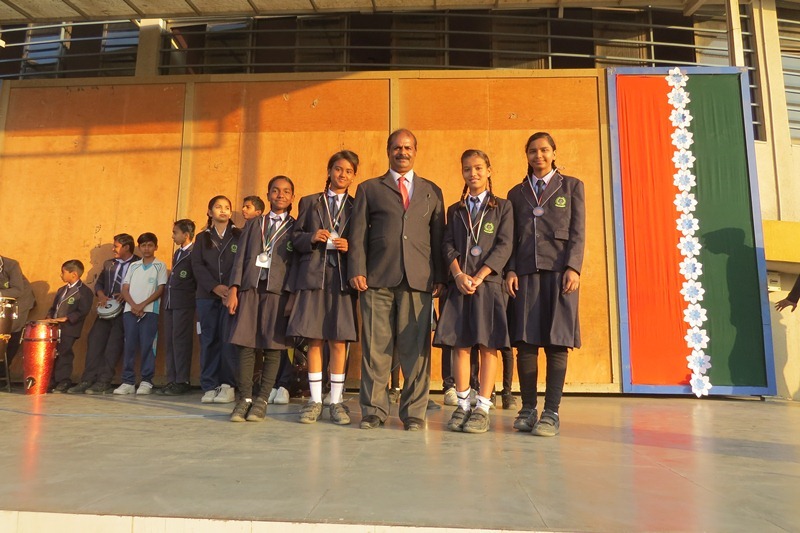 The students were guided under the effective leadership of Mr. Shankar Shetty, Atheletics Caoch, AVP. Our Chairman Mr. Vinod Chavda, Managing Trustee Mr. Hemant Kacchadiya, Vice Principal Dr. Taruna Sharma and Educational Advisor Mrs. Tripti Nagar congratulated the Students for the achievements. On 27th August 2017, Football Championship was organized by Maitri Football Club at District Level wherein 28 teams had participated from all over Kutch region for different categories of U-14, U-17 & U-19 and the Team of Atmiya Vidyapeeth had brought laurel to our school by securing the First Position in U-19 and Second Position in U-14 & U-17. The students were trained and guided under the effective and dynamic leadership of our Coach Mr. Nilesh Patel who has been awarded as the Best Coach for the tournament. The Atmiyans exhibited their talents in the field of Defending, Goal keeping and all rounder performance. It is ecstatic moment for us as three of our students were honoured a trophy for the following categories. Chairman Mr. Vinod Chavda, Managing Trustee Mr. Hemant Kachhadiya, I/C Principal Dr. Taruna Sharma and Educational Advisor Mrs. Tripti Nagar appreciated and congratulated the team for their outstanding performance. On 09th July 2017, an International Conference was organized by Rashtriya Srijan Abhiyaan at YMCA, New Delhi where many students of different schools across the country had participated and Naitik Bhuptani of Std III of Atmiya Vidyapeeth had delivered an inspirational speech on “Modi’s Planning & Initiatives for Developing India” and had received a National Award from Mr. Pradhyuman Kumar Sinha, President, RSA in presence of Mr. Shyam Jaju , Vice President of the Bharatiya Janata Party, Mr. Gopal Narayan Singh, Member of Parliament and Mr. Ramvilas Paswan, Cabinet Minister. 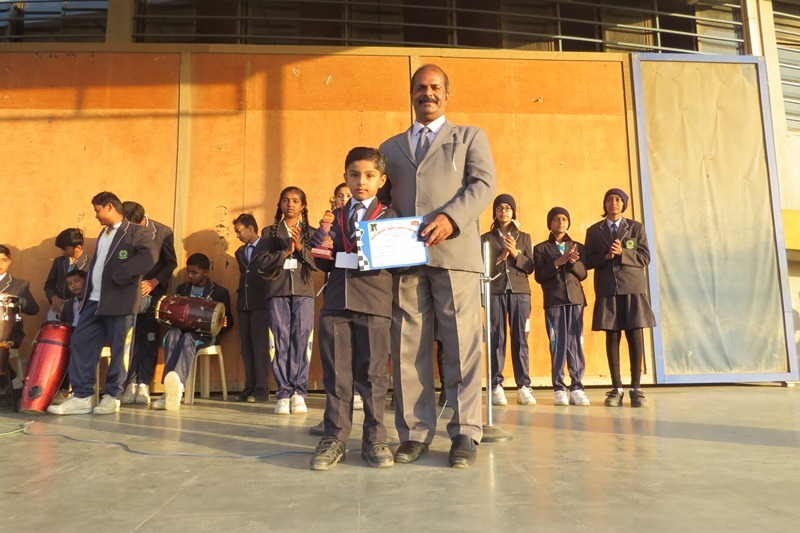 Our school management and teachers heartily congratulated and appreciated him for his astounding performance. "Skating is a mixture of art and sport." 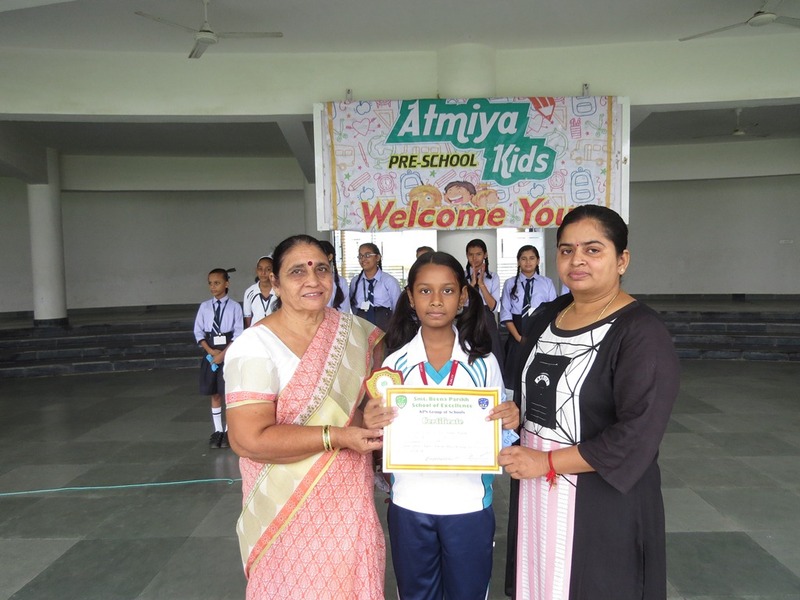 Atmiya Vidyapeeth always recognises and applauds the sporting achievements of its students. A District level Skating Competition was organised at P.N. Amersey School, Gandhidham in which Abhijeet Somra of Std XI Secured FIRST Position and Arma Manjothi of Std XII bagged Second Position in 300m and 1000m Inline and Quote Skating respectively. The students were trained and guided under the effective and dynamic leadership of our coach Mr. Santosh Bishnoi. Chairman Mr. Vinod Chavda, Managing Trustee Mr. Hemant Kachhadiya, Vice Principal Dr. Taruna Sharma and Educational Advisor Mrs. Tripti Nagar appreciated and congratulated the students for their outstanding performance. Subroto Mukherjee, U-14 Football Championship was organized at District Level where 29 teams had participated from all over Kutch region and the Team of Atmiya Vidyapeeth had grabbed First Position and all the Students were selected for State Level Tournament. The students were trained and guided under the effective and dynamic leadership of our Coach Mr. Nilesh Patel. Chairman Mr. Vinod Chavda, Managing Trustee Mr. Hemant Kachhadiya, Vice Principal Dr. Taruna Sharma and Educational Advisor Mrs. Tripti Nagar appreciated and congratulated the team for their outstanding performance. 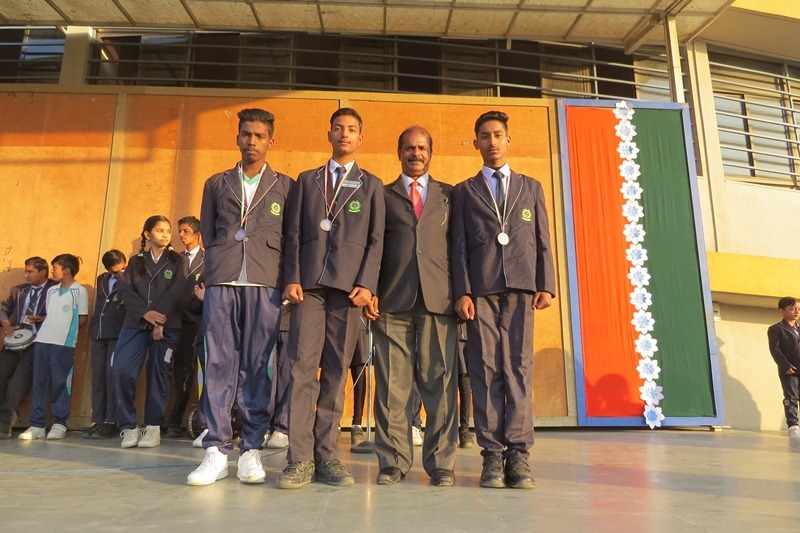 An Interschool Athletics, U-19, competition was organized by Gandhidham Taluka and 3 students of our school have brought laurel by securing first and second position in different competitions. Our Chairman Mr. Vinod Chavda, Managing Trustee Mr. Hemant Kachhadiya, Vice Principal Dr. Taruna Sharma and Educational Advisor Mrs. Tripti Nagar congratulated the Students for the achievements. 20th Olympic All India WadoKai Karate Championship had organized a Karate chapionship at Tal Katora Stadium, New Delhi, where in 112 students have participated from entire Gujarat region and two students of Atmiya Vidyapeeth Keshav Kanodia of X and Deepak Jagir of VI had won GOLD MEDALS and were selected for International Karate Championship which will be held in Sri Lanka. Keshav Kanodia was rewarded with Black Belt by Karate Association of India. The students were guided under the effective leadership of Mr. Piyush Shrivastav, President of Karate Association of Bhuj, Kutch.